It looks hard but it's not. You can do this! Fans are made by eye. It's fun; this pattern will not drive you crazy. I promise. Buy it and if you don't love it, tell me and I'll send you a refund. Lots of great how-to photos. Eleven pages. Print or Save on your computer. Includes directions for a corner block that gracefully curves your border. 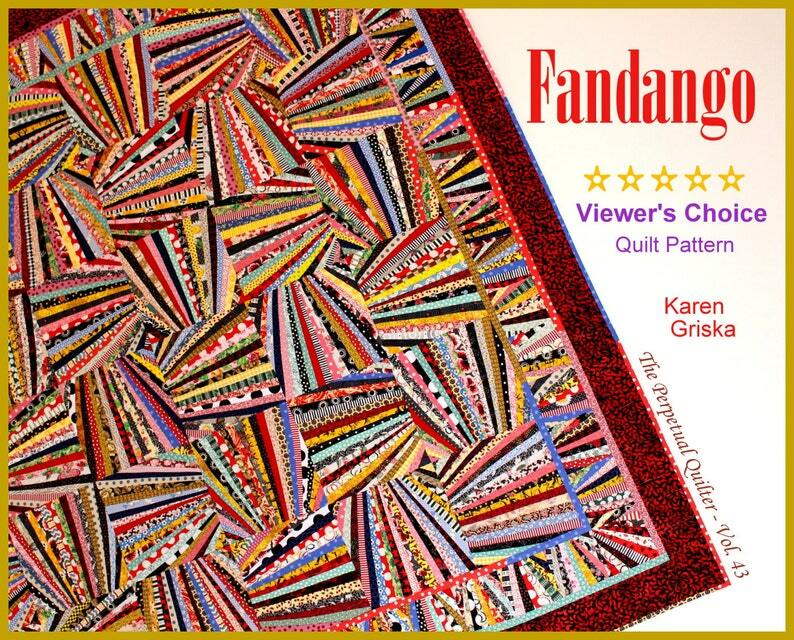 You will like using this in lots of other quilts too. Makes a fantastic wall hanging. Definitely a one-of-a-kind over-the-top busy quilt. Instant download. Start creating now! I love this shop and I love this downloadable pattern. It’s a great scrap-buster. I’ve made 12 of the large blocks so far. Thank you, Karen! I'm excited to try this to use up my mountains of scraps!